2 How to Check NMMS Result? Result Notification of NMMS Exam-2018. Gujarat Council of Educational Research and Training Gandhinagar has announced the result of NMMS Exam held on 23rd December 2018. 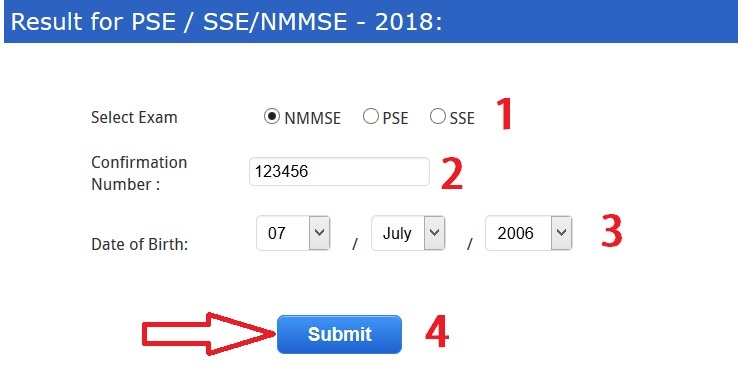 How to Check NMMS Result? Step 2 : Then click on the Result option to see results of the NMMS Scholarship Exam. To download the Merit List of NMMS Exam-2018 visit the official website and click on the “Merit List of NMMS Exam-2018” link in the home page.